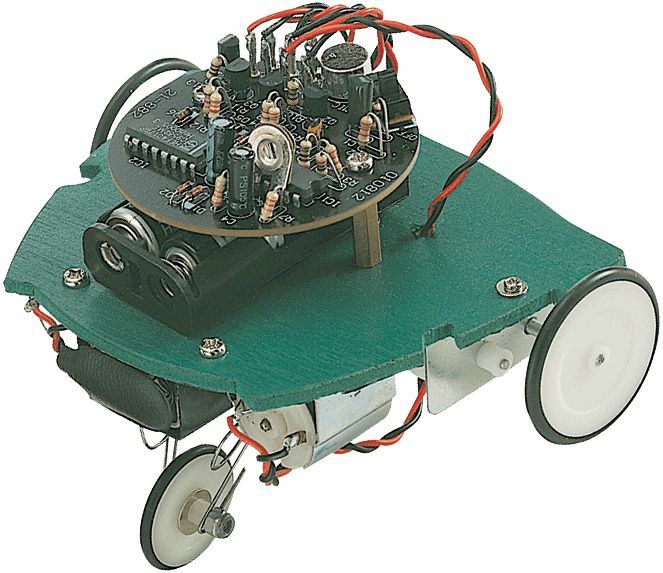 These new robots are designed to introduce students into the exciting world of electronics! Designed with high schools and technical colleges in mind, these robots come complete with detailed instructions. These kits require soldering and make great class projects for beginners! This is an interesting robot kit. When it detects sounds, it will move and repeat the following steps sequentially: Start (move forward), Stop, Left Turn, Stop, Right Turn, Stop.